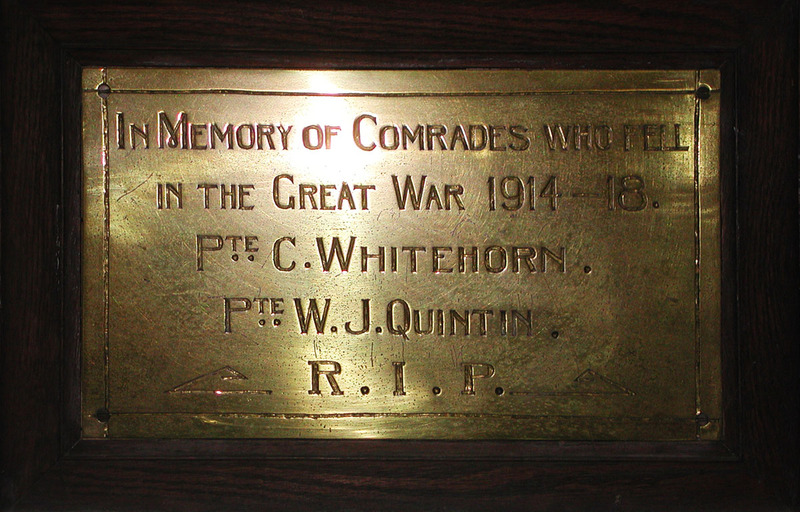 Description: Brass tablet on oak. Newbury Bellringers' War Memorial – Dedication Service, 13 Jul 1920. The ringers then struck a few rounds of a half-muffled peal. Dedicatory prayers having been offered, the ringers expressed gratitude to the Rector for attending to perform the ceremony. A peal of 336 Grandsire Triples, half-muffled, was then rung by the following: 1. J Walling (treble); 2. E Smith; 3. C Pearce; 4. S Quintin (conductor); 5. W A Dormer; 6. E Crocker; 7. H W Curtis; 8. E Challis (tenor).